O Brasil tem quase 8.000 km de costa recheado com praias de grande beleza. A região nordeste concentra muitas das belas praias do nosso país. A Paraíba tem138 km de praias belas e as do litoral sul tem fácil acesso. Erich eu e visitamos uma parte do litoral sul paraibano e dividimos com vocês um pouco do que vimos por lá. Iniciamos nosso passeio parando em uma parte da cidade onde é possível ter uma vista de Cabo Branco e Tambaú e a a partir daí, seguimos para a Barra de Gramame. Praia linda, com mar tranquilo e muitas barracas para você passar o dia, almoçar por lá. Depois de Gramame, seguimos para a Praia do Amor e fizemos uma foto na famosa Pedra Furada, que somente aparece quando a maré está baixa. A nossa próxima parada foi a Praia da Jacumã, distante 29 km, a localidade com mais infraestrutura do litoral sul da Paraíba, com muitas casas de veraneio. A praia não se encontra em boas condições pois parte das casas à beira-mar foram destruídas pelo mar e por ordem judicial do Patrimônio da União. O nosso passeio continuou e chegamos em um lugar com uma vista paradisíaca: mirante entre as praias de Carapibus e Tabatinga. Lindo demais!!! Após esse mirante chegamos no Mirante da praia de Tambaba, outro ponto com vista deslumbrante. Desse ponto pudemos avistar os cânions da praia de Tabatinga, maravilha da natureza! 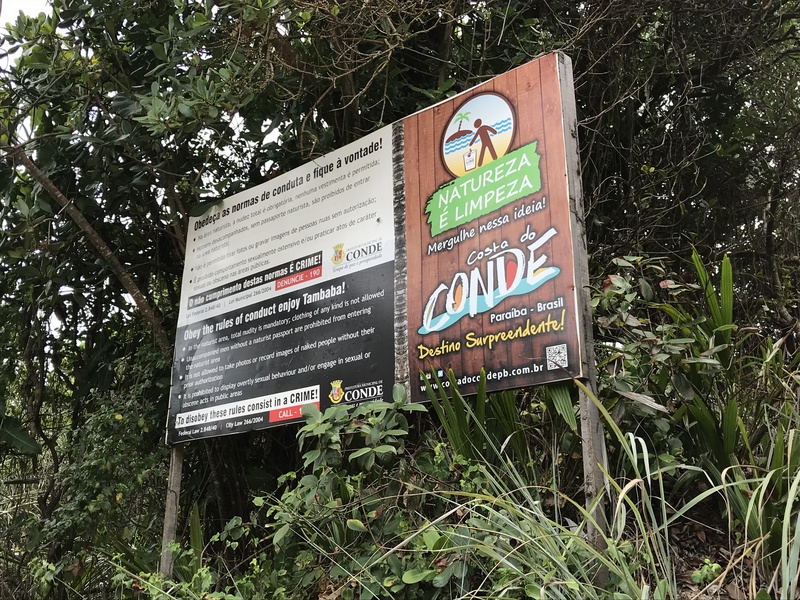 Descemos para a famosa praia de Tambaba. A praia de Tambaba, distante 39 km de João Pessoa, está localizada à Barra de Garaú e nela foi instalado o primeiro campo de naturismo oficial da região nordeste, o segundo do Brasil. Quando você chega na praia, há uma parte onde as pessoas estão vestidas e há o acesso, através de uma falésia, da parte naturista, onde somente acessam as pessoas que realmente vão praticar o naturismo. 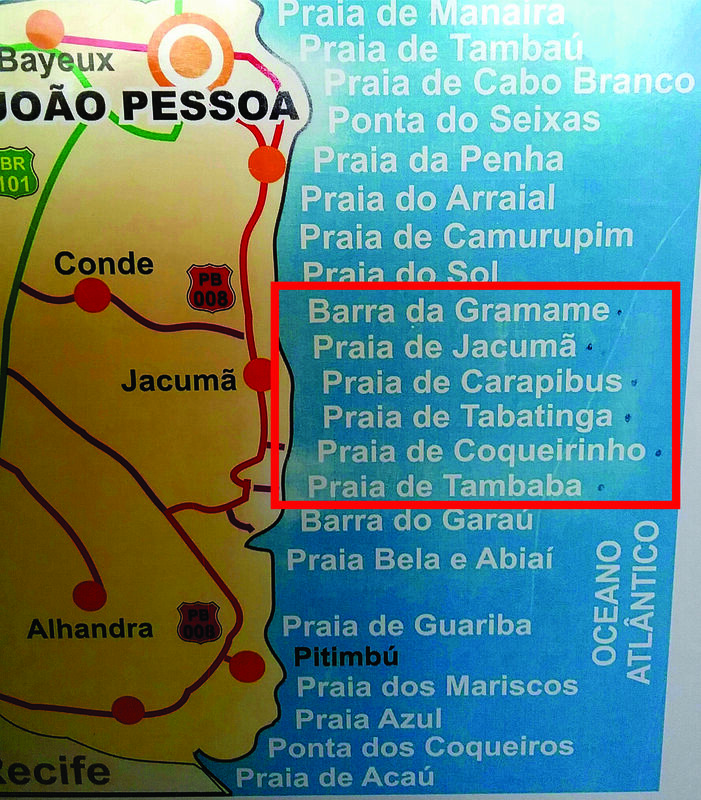 Se esse não for o seu caso, você fica na primeira parte da praia, foi onde ficamos. Depois de Tambaba, voltamos pela PB-008 e fomos a praia de Coqueirinho. Há uma parte com uma baía tranquila (Coqueirinho Sul), pequena, ótima para banho, porém, você paga R$ 30,00 somente para sentar nas cadeiras. Na outra parte da praia, com o mar mais revolto e agitado, há uma grande concentração de barracas. Quando chegamos fomos imediatamente abordados pelos garçons oferecendo mesa e cardápio para que ficássemos por ali. Nessa parte você não paga para sentar, apenas paga o seu consumo. Das praias visitadas, as que nos encantaram pela beleza espetacular foram Carapibus, Tabatinga, Coqueirinho Sul e a pequena praia de Tambaba, a parte que não é para a prática de naturismo. Você pode alugar um carro e ir visitando cada uma das praias. O acesso principal é feito pela rodovia estadual PB -008 e a partir dela há os acessos para as praias. Alguns desses acessos não são pavimentados. As agências de turismo oferecem passeio ao Litoral Sul para visitar Barra de Gramame, Praia do Amor, Coqueirinho e Tambaba, com a praia Bela como opcional por R$ 60,00 por pessoa. No hotel onde estávamos a agência de turismo cobrava R$ 95,00 por pessoa. Tinha outra agência que cobrava R$ 65,00 por pessoa num automóvel tipo Doblò, mas o passeio somente aconteceria se tiver no mínimo 3 pessoas. Há também o passeio de buggy, o preço era de R$ 370,00, se fosse apenas o casal. Nesse caso, o trajeto não é realizado totalmente pelo litoral, o buggy segue pela PB-008 e entra nos acessos às praias. No nosso caso, fizemos esse passeio de taxi (taxista Pedro – 819393-2679, pagamos R$ 200,00). Se quiser mais informações sobre a Paraíba, clique aqui. O Brasil tem muitas belezas, o litoral sul da Paraíba é apenas uma delas. 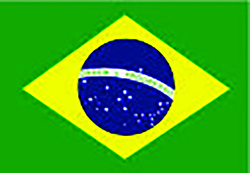 Sugiro que você dê uma olhadinha no nosso livro 66 x Brasil e se inspire para viajar pelo nosso deslumbrante Brasil. O livro 66 x Brasil também está disponível no Mercado Livre. Brasilien hat fast 8.000 km Küste mit schönen Stränden. Auf den Nordosten des Landes konzentrieren sich sehr viele dieser wunderschönen Strände. Paraíba verfügt über 138 km Strände und ihre Südküste offeriert zudem einen leichten Zugang. Erich und ich besuchten einen Teil dieser Südküste von Paraiba und möchten unsere Impressionen gerne mit Ihnen teilen. Wir beginnen unsere Tour mit einem ersten Zwischenstopp mit Blick auf Cabo Branco und Tambaú, von dort ging es dann weiter nach Barra de Gramame. Ein schöner Strand mit ruhigem Meer und vielen kleinen einfachen Restaurants, um dort den Tag zu verbringen und Mittag zu essen. 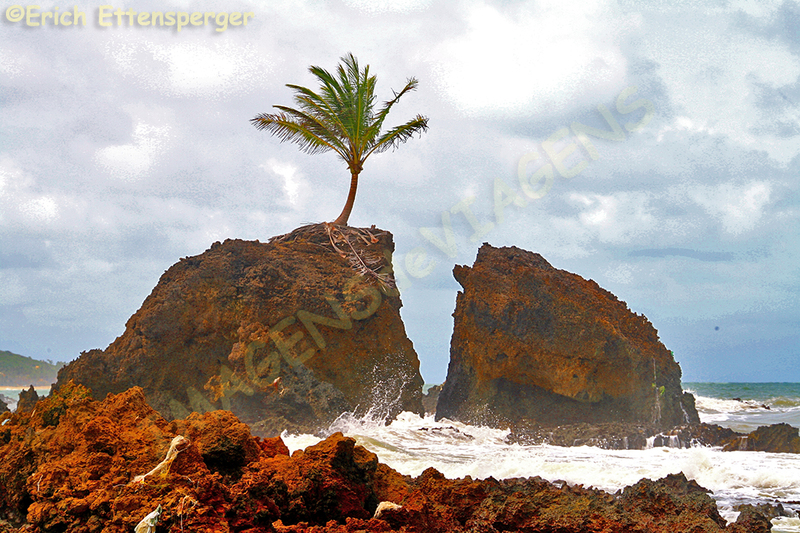 Von Gramame aus fuhren wir zum Strand Praia do Amor und fotografierten dort den bekannten Felsen Pedra Furada, der nur bei Ebbe sichtbar wird. Unser nächster Halt war in Jacumã Beach, 29 km von João Pessoa entfernt, der bekannteste Ort an der Südküste von Paraíba, mit sehr vielen Sommerhäusern. Der Strand ist nicht in bestem Zustand, da ein Teil der Häuser durch das Meer und einer Gerichtsverordnung des Küstenschutzes folgend zerstört wurden. Unsere Tour führte uns weiter an einen Ort mit einer paradiesischen Aussicht: ein Aussichtspunkt zwischen den Stränden von Carapibus und Tabatinga. Danach erreichen wir Tambaba Beach, ein weiterer Ort mit einer atemberaubenden Aussicht. Von dort aus konnten wir die wuchtigen Felsklippen des Strandes von Tabatinga sehen, ein Wunder der Natur! Dann steigen wir hinunter zum berühmten Tambaba Strand. Der Strand Tambaba ist 39 km von João Pessoa entfernt und befindet sich in Barra de Garaú. Es war der erste offizielle FKK-Strand im Nordosten, der zweite in ganz Brasilien. Wenn Sie am Strand ankommen, gibt es einen Teil, wo die Leute bekleidet sind und es gibt einen Zugang durch eine Klippe zum FKK-Bereich. Von Tambaba aus fuhren wir dann anschlieβend auf der PB-008 zum Strand von Coqueirinho. Es gibt einen Bereich mit einer ruhigen Bucht (Coqueirinho Sul), klein, ideal zum Baden, aber Sie zahlen 30 R$, nur um dort auf Liegestühlen sitzen zu dürfrn. Auf der anderen Seite des Strandes mit der rauen und aufgewühlten See gibt es eine große Konzentration von barracas (einfache Strandkneipen/Kioske). Als wir ankamen wurden wir sofort von sehr vielen Kellnern eingeladen uns doch zu setzen. In diesem Teil zahlen Sie nichts, um sich zu setzen, Sie zahlen nur Ihren Konsum. Von den besuchten Stränden bezauberten uns Carapibus, Tabatinga, Coqueirinho Sul und der kleine Nicht-FKK-Bereich des Strandes von Tambaba. Sie können ein Auto mieten und jeden dieser Strände besuchen. Der Hauptzugang erfolgt über die Straβe PB-008. Einige dieser Zugangsstraβen sind allerdings nicht asphaltiert. Reisebüros bieten Ausflüge zu den Stränden der Südküste für etwa 60 R$ pro Person an. Da die Preise sehr variieren lohnt es sich sehr, sich über die Art und Weise des Ausfluges zu informieren. In unserem Fall haben wir unseren Ausflug mit einem Taxi nach unseren Bedürfnissen organisiert und wir waren sehr zufrieden damit (Taxifahrer Pedro – 819393-2679, wir haben 200 R$ bezahlt). 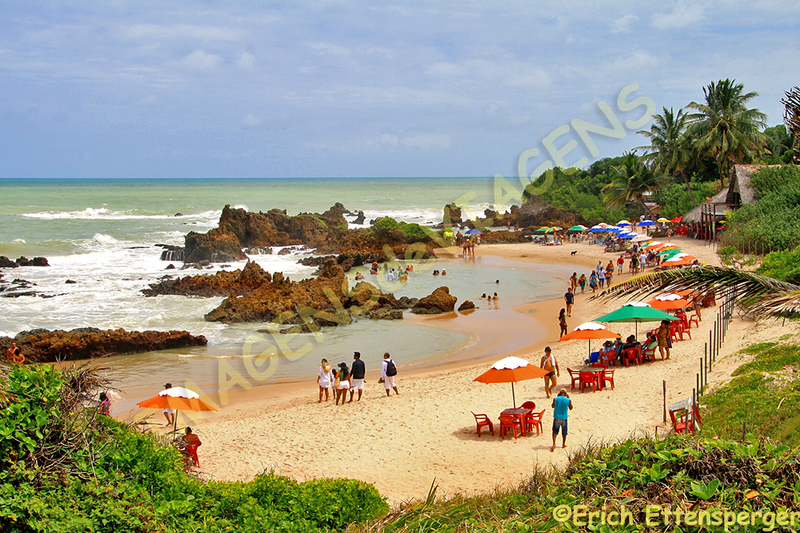 Brazil has nearly 8,000 km of coastline with beautiful beaches. 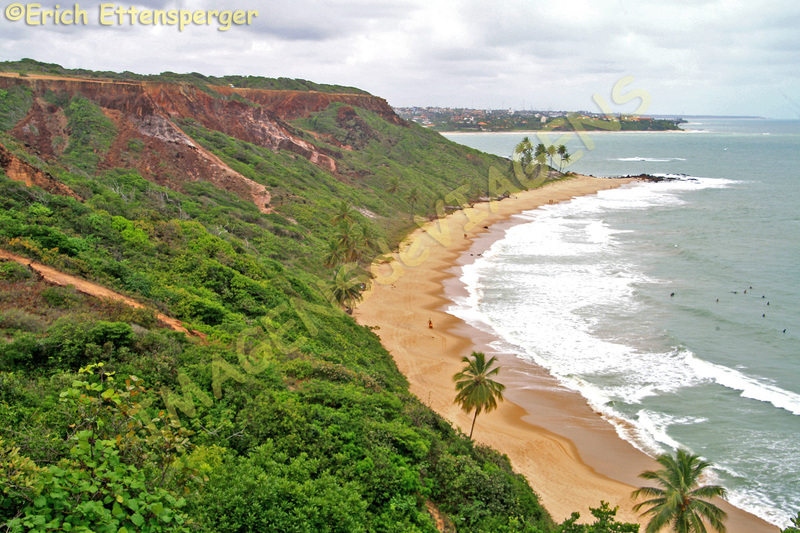 Many of these beautiful beaches are concentrated in the northeast of the country. 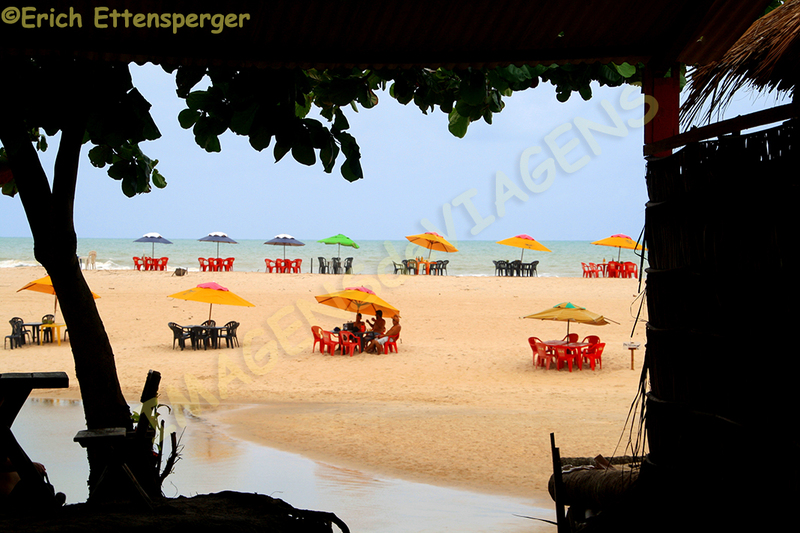 Paraíba has 138 km of beaches and its south coast also offers easy access to them. 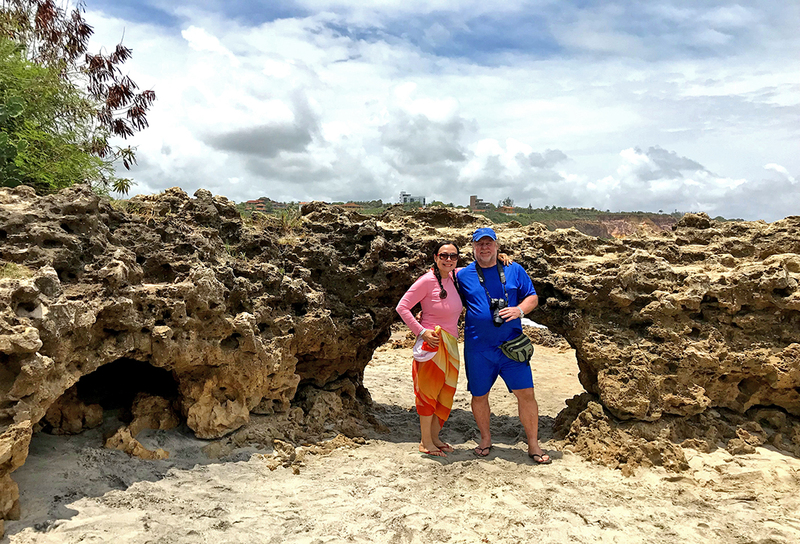 Erich and I visited a part of this south coast of Paraiba and we would like to share our impressions with you. We start our tour with a short first stopover with views of Cabo Branco and Tambaú, from there we went on to Barra de Gramame. 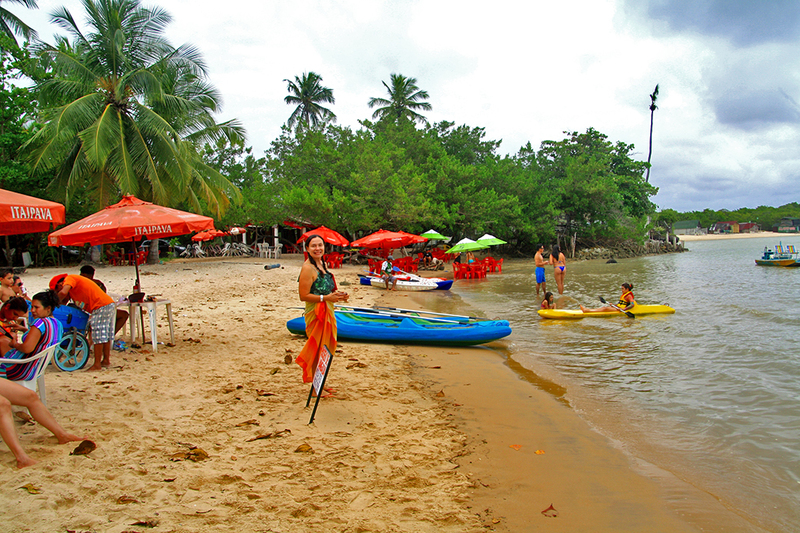 A beautiful beach with calm sea and many small simple restaurants to spend the day there and having lunch. From Gramame we drove to the beach Praia do Amor and photographed there the famous rock Pedra Furada, which is visible only at low tide. 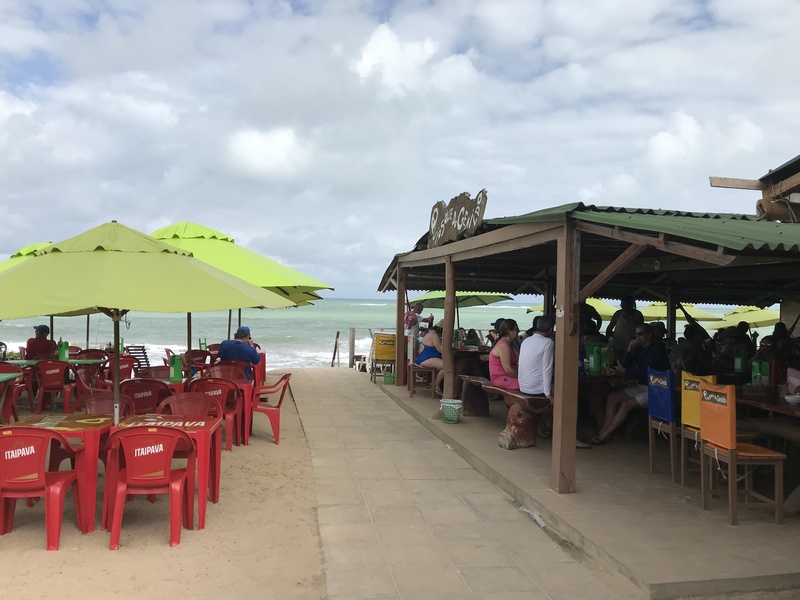 Our next stop was at Jacumã Beach, 29 km from João Pessoa, the most famous place on the south coast of Paraíba with many summer houses. The beach itself is not in good condition as part of the houses were destroyed by the sea and a court order of coastal protection. Our tour took us further to a place with a paradisiacal view: a lookout point between the beaches of Carapibus and Tabatinga. Afterwards we arrived at Tambaba Beach, another place with a breathtaking view. 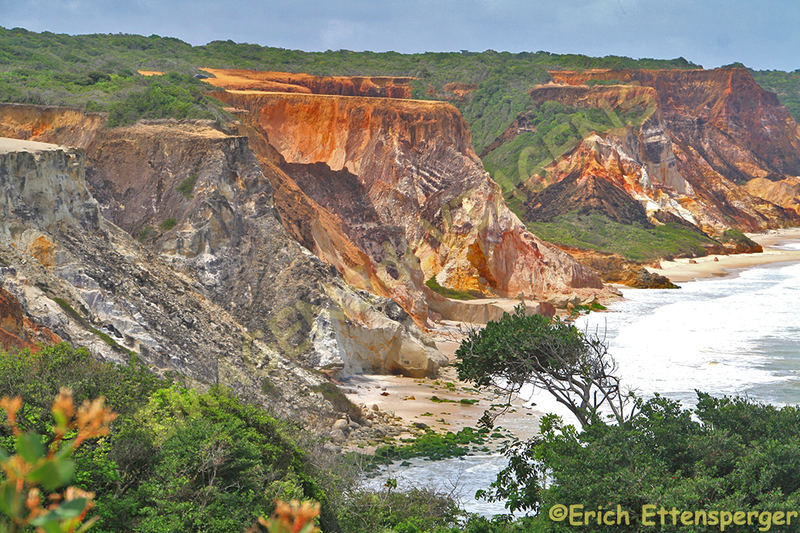 From there we could see the mighty cliffs of the beach of Tabatinga, a wonder of nature! Then we descend down to the famous Tambaba beach. Tambaba Beach is 39 km from João Pessoa in Barra de Garaú located. It was the first official nudist beach in the northeast, the second in all Brazil. When you arrive at the beach, there is a section where people are clothed and there is access to the nudist area through a cliff path. From Tambaba we drove then on the PB-008 back to the beach of Coqueirinho. There is an area with a quiet bay (Coqueirinho Sul), small, ideal for swimming, but you pay R $ 30 just to sit there on deckchairs. On the other side of the beach with the rough and churning sea there is a great concentration of barracas (simple beach pubs / kiosks). When we arrived there we were immediately invited by many waiters to sit down to eat and to drink. In this part you pay nothing to sit, you only pay for your consumption. 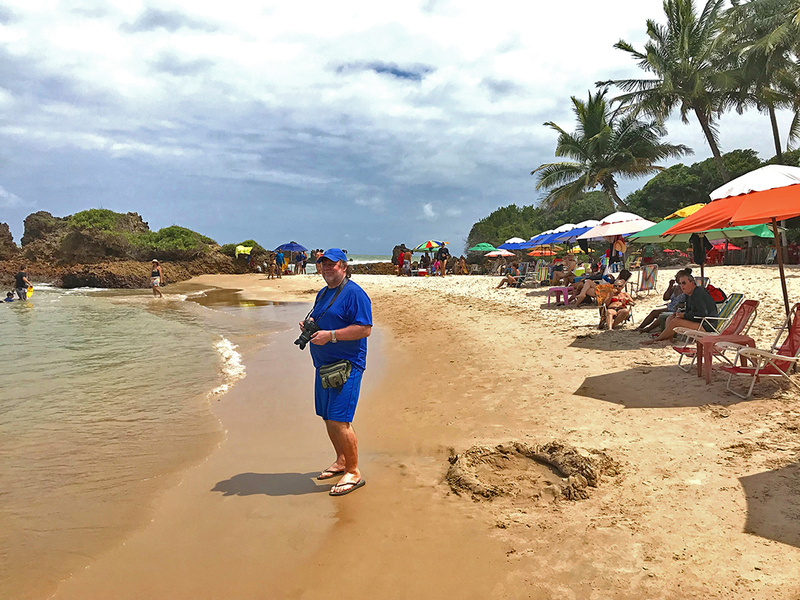 From the visited beaches we were charmed by Carapibus, Tabatinga, Coqueirinho Sul and the small non-nudist area of ​​the beach of Tambaba. You can rent a car and visit any of these beaches. The main access is via the road PB-008. However, some of these access roads are not paved. 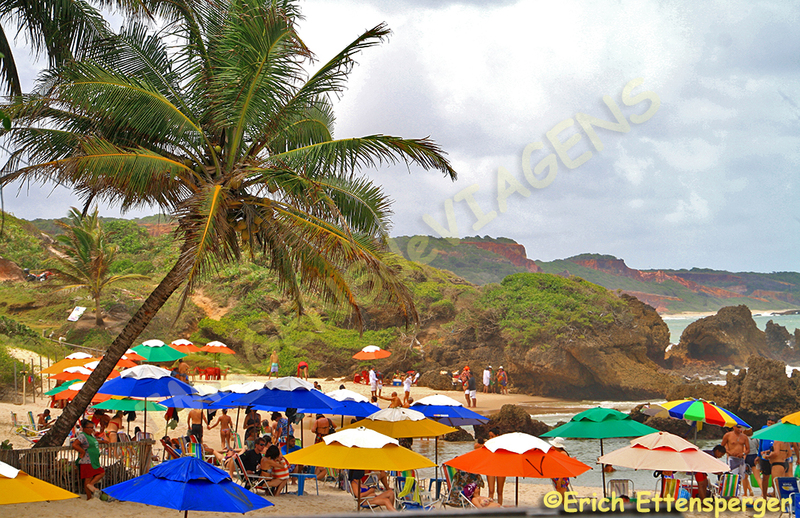 Travel agencies offer trips to the south coast beaches for around R $ 60 per person. Since the prices vary a lot it is worthwhile to get informed about the kind of the excursion. In our case we organized finally our trip by taxi according to our needs and we were very happy with it (taxi driver Pedro – 819393-2679, we paid 200 R $).